The Grandstream GXP2135 is an enterprise-grade IP Telephone that supports 8 lines, 4 SIP accounts, Gigabit speeds and up to 32 virtual BLF/speed-dial keys making it ideal for busy workers.The Grandstream GXP2135 Telephone is designed for the Busy user. Busy users typically rely on several forms of communication including call handing and call processing. while they require a quality telephone for those receive a lot of calls calls per day then GXP2135 is the answer for them. Receptionists and sales staff within a business are examples of busy users for whom the GXP2135 delivers a productivity-enhancing telephone.This phone model feature a stylish design and are a sharp addition to any retail store, branch, or corporate office. The GXP2135 is the perfect choice for business users looking for a powerful and reliable IP phone with advanced functionality.These ip phones are ideal for enterprises and call centers and can be deployed alongside other Grandstream phones. The GXP2135 Phones combine the features of traditional and IP desk phones, delivering capabilities often found in higher-priced devices.This Phone is perfectly suited for workers those handling large volume of calls.Gigabit Network Support and 2.8 inch color display LCD make this Grandstream Phone a perfect addition to every business needs.The full HD Audio and 32 on screen BLF buttons help users be more productive and efficient. 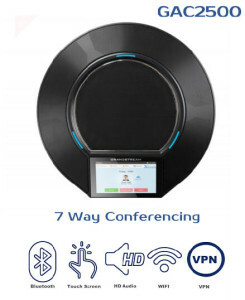 The inbuilt Bluetooth allow the user to sync with the mobile device , as well as supports connecting Bluetooth headsets. Designed with the reliability you expect from Grandstream, Grandstream GXP2135 Dubai telephones provide critical features and capabilities not often found in competitively priced models. 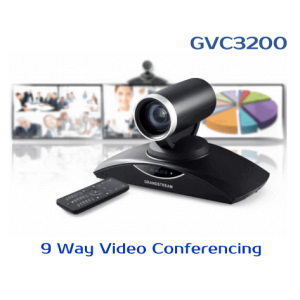 Grandstream GXP2135 includes several fixed feature for common telephone tasks including conference, transfer, drop, hold, mute. In addition, the GXP2135 includes a high quality full duplex speakerphone, and supports a broad portfolio of wired and wireless headsets through its integrated EHS headset jack.